It could make for awkward conversation. Teenagers mingling over tea and cookies with seniors who have dementia. But at Calgary's Rundle College, teenaged students are being equipped with questions both generations have in common. The students recently met with seniors from Wentworth Manor, pairing up for tea at the school. This gave the teens a chance to practise what they've learned about chatting with folks who have dementia. 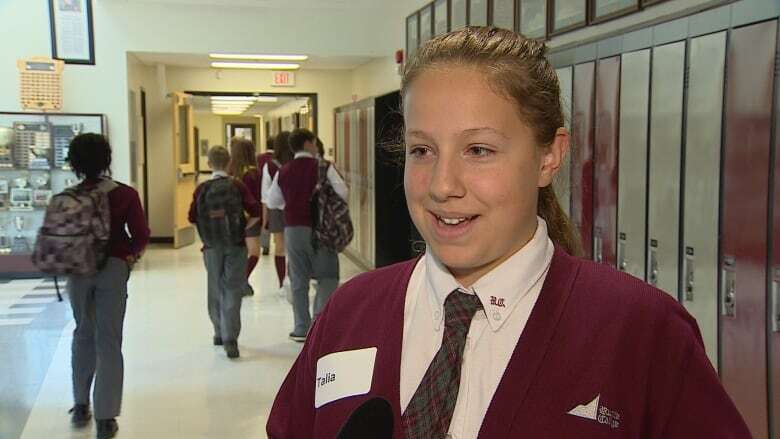 "Seniors with dementia remember the past more than what happened in the past few years," said Talia Deliman, a Grade 9 student. "So there's a lot of questions of how they liked school, and what their favourite subject was." But there's a trick to asking, she warns. "Avoid using the word 'remember.' "
That delicate, trigger-avoiding conversation is one of many skills to be taught at the private K-12 school starting in the fall, and practised at the recent tea session. It's part of a wider initiative by the Brenda Strafford Foundation to prepare communities to support residents who live with dementia. More than half a million Canadians have dementia, yet the disease continues to stigmatize and isolate them. The foundation launched two pilot projects with provincial funding, one in Calgary's Westhills district in February and the other in Okotoks last month. The project involves training staff at recreation centres, banks, grocery stores and other businesses how to deal with seniors who have dementia. The dementia-friendly communities concept follows the success of similar projects in the United Kingdom, Japan and Australia, says program co-ordinator Emma Richardson. "Dementia is everybody's business," Richardson told CBC News. "Everybody will know somebody that has dementia, even in the wider community. So it's making sure that there's inclusion for everybody." Businesses volunteer to receive training on how to work with clients who have the disorder. Richardson says many with dementia struggle in day-to-day life because of miscommunications. "If they go to the bank, or if they go to the dentist, they go to any of these services, if the person that's helping them doesn't understand why they're behaving in a certain way, they can treat them with not so much respect and not give them the time that is needed. So having an education really creates that awareness." 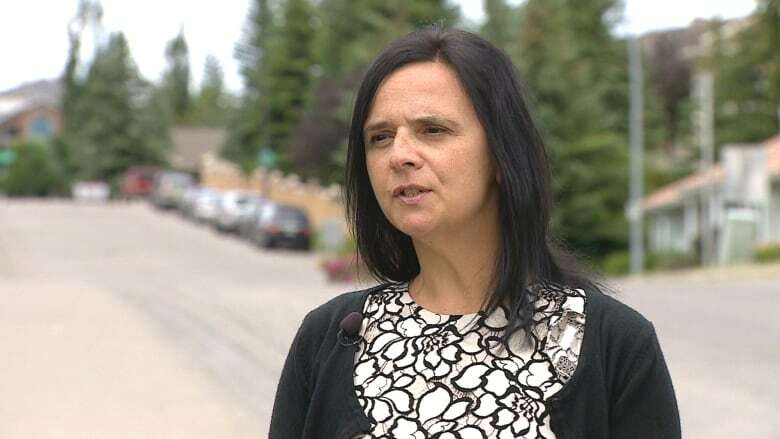 According to Alberta Health Services, about 40,000 Albertans have dementia, and that number is expected to more than double as the baby boom generation ages. Make eye contact, smile warmly. Use a gentle touch to get attention. Keep information short and to the point. Use gestures or pictures, if helpful. Say important things twice to help the person stay focused. Be patient, give the person extra time to answer. Give the person choices, like "Do you want a sandwich or soup," instead of asking open-ended questions like "What do you want for lunch?" See more information on dementia, its causes and treatments. An earlier version of this story said the imitative by the Brenda Strafford Foundation was aimed at creating "dementia villages." In fact, it's aimed at creating "dementia-friendly communities."